When I was growing up, I always enjoyed making sugar cookies at Christmas time. Even at a very young age I would spend half an hour carefully decorating a cookie, adding one sprinkle at a time. My sisters would have a whole plate of cookies decorated in the time I would decorate one or two, but mine were little works of art. My mom never quite understood my need to seek perfection (especially on a cookie! ), but she knew it was simply a part of who I was. Well, some things never change… I’m quite a few years older now, and a mother myself, but I still find such enjoyment in spending the late hours of the day hunched over a tray of cookies, adding sprinkles with the greatest of care. 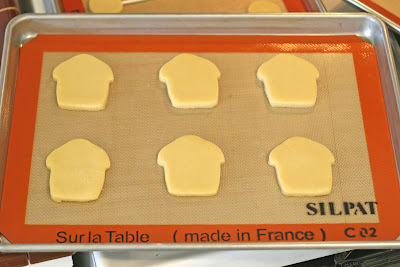 One of the nice things about making sugar cookies is that they can be as simple or as detailed as you care to make them. 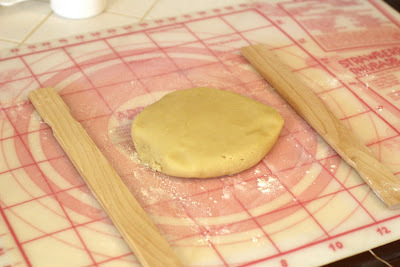 Making sugar cookies with children can be a fun and special activity. Or taking the time to decorate sugar cookies with extra care can produce some really beautiful results, perfect for special gifts. Whatever the end goal, starting with a reliable recipe, and handling the dough with a bit of care will ensure delicious results every time. Here is the recipe I use, and have made hundreds of times. 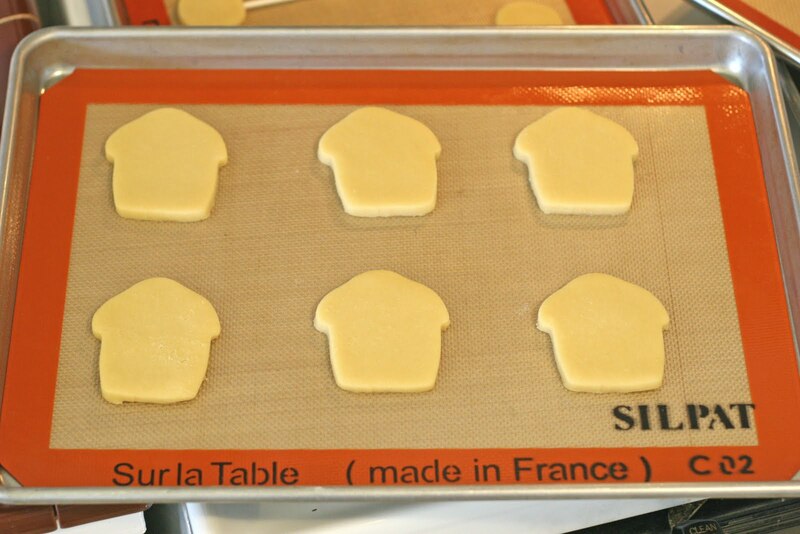 Most recipes for sugar cookies are extremely similar to this. 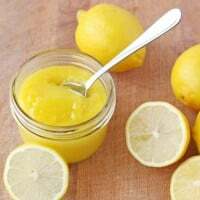 Some recipes call for almond extract or lemon zest in place of the vanilla extract. I’m sure those variations would produce delicious results as well. Note (November 2017) – I’ve written an updated post as well as a printable version of this recipe in my post titled –> Perfect Sugar Cookie Recipe. -In a medium bowl, stir together the flour and baking powder and set aside. -In the bowl of an electric mixer, using the paddle attachment, cream together the butter and sugar until light and fluffy. This should take about 3 minutes. -Add the egg and vanilla and beat another minute or so. 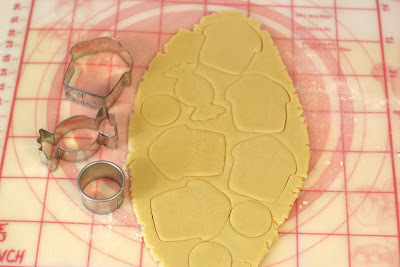 -Blend until all of the flour is incorporated and the dough begins to pull away from the sides of the bowl. 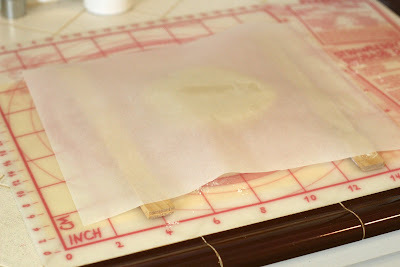 -Take the dough out of the bowl and place it on a piece of parchment paper. -Using your hands, knead the dough a few times. -Place the dough in a large plastic (ziplock type) bag and refrigerate for about 2 hours. If you want to speed up the chilling process, place the bag of dough in the freezer for about 20-30 minutes. Just don’t forget it in the freezer, or it will become too firm to work with (and then you’ll have to wait for it to thaw). -When it’s almost time to remove the dough from the refrigerator (or freezer), preheat oven to 350 degrees (F). 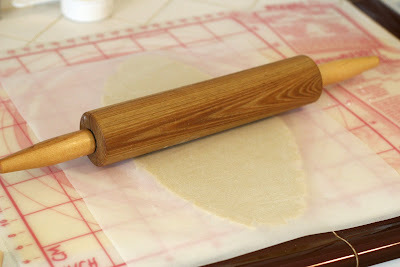 -When the dough has chilled and is firm, take out about half of the dough, leaving the rest in the refrigerator (until your ready to work with it). This recipe yields about 30, 2 1/2 inch cookies or 16, 3 1/2 inch cookies. Once cooled, the cookies can be decorated with frosting, royal icing or rolled fondant. Basic cookie decorating tutorial (the cookies in this post are mini cookies used as cupcake toppers, but the information can be used for any cookies). How to make pretty Luau cookies (the same techniques could be used for cookies for any occasion). I also highly recommend the book Cookie Craft . This is the best and most complete book I’ve found on decorating cookies. This book has gorgeous photos for inspiration, but also has every bit of information you need, including directions and recipes. Despite the thousands of cookies I’ve made over the years, I still come back to this book for ideas or to refresh my memory on a particular technique. What type of Sugar do you use. How long will the cookie dough keep in the fridge – if I want to make extra batches and bake during the week? I love making these and they never fail me. I use a vanilla almond flavouring..mix it myself and everyone loves them. I use to do a double batch of these every Christmas but this year I am doing them for Easter also. Thank you for sharing this perfect receipe! I live in the uk and have just stumbled across this recipe (August 17). Made these for nephews birthday as party favours and were amazing iced with royal icing worked a treat. So many lovely comments and so easy to make. 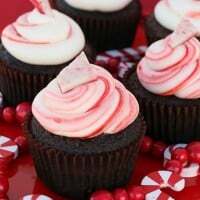 I want to make these but I don’t see the icing recipe!